Hypertension is considered both a chronic and dangerous medical condition. Also known as high blood pressure, hypertension is found in approximately 1 in 3 U.S. adults but only half have the condition under control. Hypertension is often called the “silent killer” because many adults are unaware that they have it due to a lack of warning signs. For older adults, the prevalence of hypertension is even higher, and the condition can create risk factors for other chronic diseases. Here is some information about hypertension in older adults, how it relates to other chronic diseases, and the ways that chronic care management (CCM) services can help monitor this serious condition. While a third of Americans suffer from high blood pressure, the numbers begin to escalate with age. According to the National Council on Aging, 90 percent of Americans over the age of 55 are at risk for hypertension, with women edging out men for developing the condition. By age 75, as many as 77 percent of women have high blood pressure and 64 percent of men. The condition itself can be dangerous, but when combined with other chronic diseases, it can be deadly. Older adults who suffer from hypertension are also at risk of developing other chronic diseases. High blood pressure increases a patient’s chance of having a stroke. Hypertension also increases the chance that a patient will develop heart disease and other serious health problems. When left untreated, hypertension can cause damage to vital organs such as the heart. There is also a correlation between high blood pressure and chronic kidney disease (CKD). It’s been found that more than half of patients with CKD also have high blood pressure and that as hypertension increases, the chance that CKD will get worse is also greater. 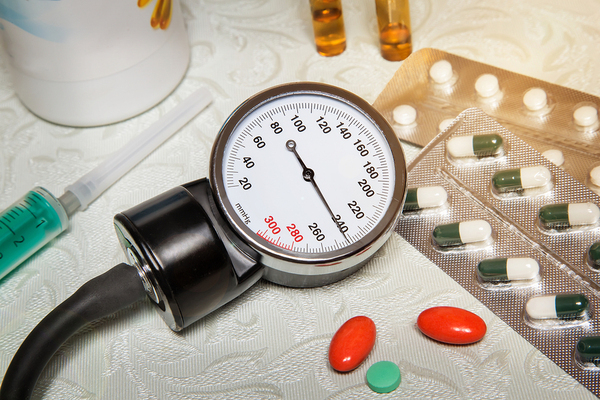 High blood pressure is both a leading cause and a complication of CKD, requiring close monitoring, lifestyle changes, and medication management. Patients suffering from hypertension will be asked to adhere to a variety of treatment regimens. When a Medicare-covered patient has multiple chronic conditions, they become eligible for chronic care management (CCM) services. This valuable service can help primary care providers and specialists with chronic disease management, and particularly with hypertension monitoring in several ways. If a patient suffers from high blood pressure, they’ll be asked to do a number of things to control the condition. Among these are blood pressure monitoring at home or through regular physician’s office visits, making some diet changes, increasing physical activity, and stopping smoking (if applicable). The chronic disease management services through ProfitableMD can assist in hypertension monitoring through our unique mode of patient contact. When our care coordinator speaks with the patient each month, they will discuss blood pressure education and their personalized care plan. The care coordinator will get buy-in from the patient on such things as diet, exercise, smoking, and medication compliance. We also have the ability to record current vital signs, such as blood pressure, for condition monitoring. Ensuring the best patient outcomes is the goal of any medical provider. The unique chronic disease management services of ProfitableMD can assist providers do just that. Contact us with any questions about our services or request a free consultation now.